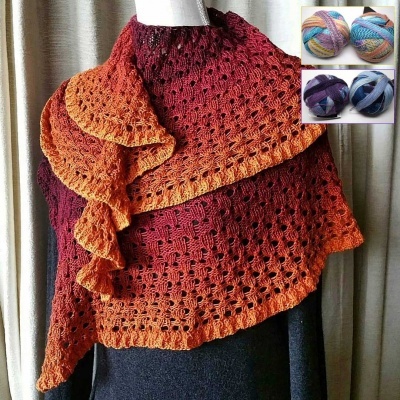 Ambah O'Brien has released her next shawl in her Chroma Collection -- a marvelously simple and elegant piece called Myndie that we have kitted up in some amazing colorways from Freia. Big smiles on this one! Perfect for summertime knitting. 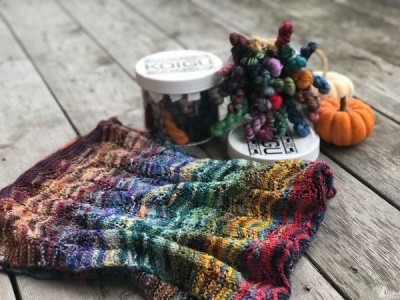 And Sivia Harding's Mystery KAL has completed and is no longer a mystery! Take a look at her gorgeous Layer Cake Shawl -- we have kits, plus some new ones coming, that will make this a delight to knit! This article was published on Friday 20 May, 2016.